The image at right is the fossil, KNM-ER 3228 a 1.9 million year old right pelvic (innominate) bone of Homo (erectus?) from Kenya. Not 100% identical, maybe rotate ER 3228 medially a bit. You know you’ve been doing it too long when you start to see Osteology Everywhere. HAhahaha, I love it. 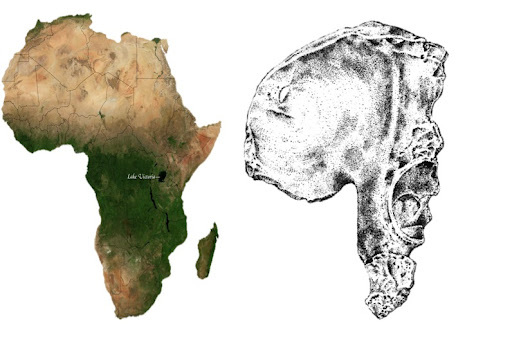 I'm going to start looking for innominates that are Africa-shaped in my research. I'll let you know if I find any good ones. What country would look like a baculum?